Every month, we select the best product of the season, in term of taste and freshness. 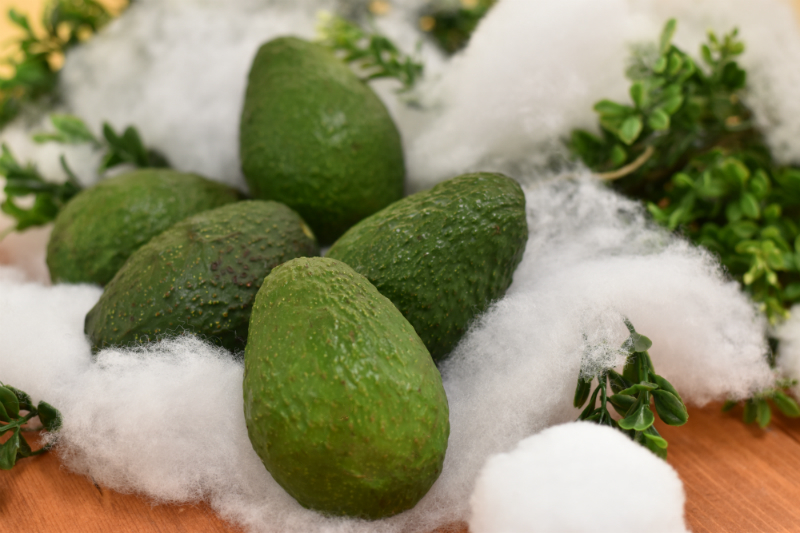 This December, we celebrate bagged avocados as our Featured Product of the Month for you to enjoy for the entire month. Avocado is named “Superfood” due to its nutrients. There are numerous ways to eat avocado, FRESH off the peel, in a smoothie, salads, nachos, just to name a few. Did we mention sushi? We carry only Hass avocados variety, hence, the information here only applies to this variety. On your visit to Kin’s Farm Market, we want you to have the best produce from our stores. FRESH avocado is hard and has a green colour. You should look for the one with uniform texture and avoid ones with bruises or soft spots. Give avocado a little shake, if the pit is loose, try another one. Avocado will turn dark green and yield with gentle pressure when ripe. A ripe avocado can be bruised easily especially in a marketplace. This is the reason our staff pay extra care at the stores with this Superfood. We suggest planning ahead select FRESH avocado instead of ripe ones. If you need to use the avocado on the same day, select the dark brown colour and watch out for the bruises. We do not recommend storing unripe avocado in the refrigerator. This will interfere with the ripening process. FRESH avocado takes 2 – 5 days to become fully ripe. You can put avocado in a brown paper bag and store at room temperature away from direct sunlight. Put an apple or a banana in the same bag to hasten the ripening process of the avocado. The flesh of avocado gets darker when exposed to the air quite quickly. Use lemon juice to delay the darkening process.